Cades Cove Stargazing Event Saturday, November 17, 2018 at 5:30 p.m. Great Smoky Mountains National Park, in cooperation with the Smoky Mountain Astronomical Society, offers this unique opportunity to the public to explore the universe. Experienced astronomers and many telescopes will be available to assist attendees in the discovery of the fall sky’s position of stars, galaxies, and constellations, including the Milky Way. In case of rain or cloud cover where night skies are not visible, the program will be cancelled. Participants are asked to park at the orientation shelter at the entrance to the Cades Cove Loop Road. A park ranger will walk with the group one-third of a mile to a nearby field to the viewing location. The Cades Cove Loop Road is closed at sunset to motor vehicles and participants are not allowed to drive to the viewing site or to park within the Loop Road. Attendees should wear comfortable walking shoes, dress warmly, and bring a flashlight. Everyone is encouraged to bring a lawn chair or blanket for relaxing. Binoculars can be used for stargazing too. To preserve the integrity of the telescope lenses, smoking is not allowed near them. Carpooling is strongly encouraged because parking is limited. In the event of rain or cloud cover the event may be postponed. If the weather is questionable, call the day of the event to confirm that the program will take place at 865-448-4104 or follow the park’s Facebook page at Facebook. Cades Cove Loop Lope is a Great Smoky Mountain Special Event! 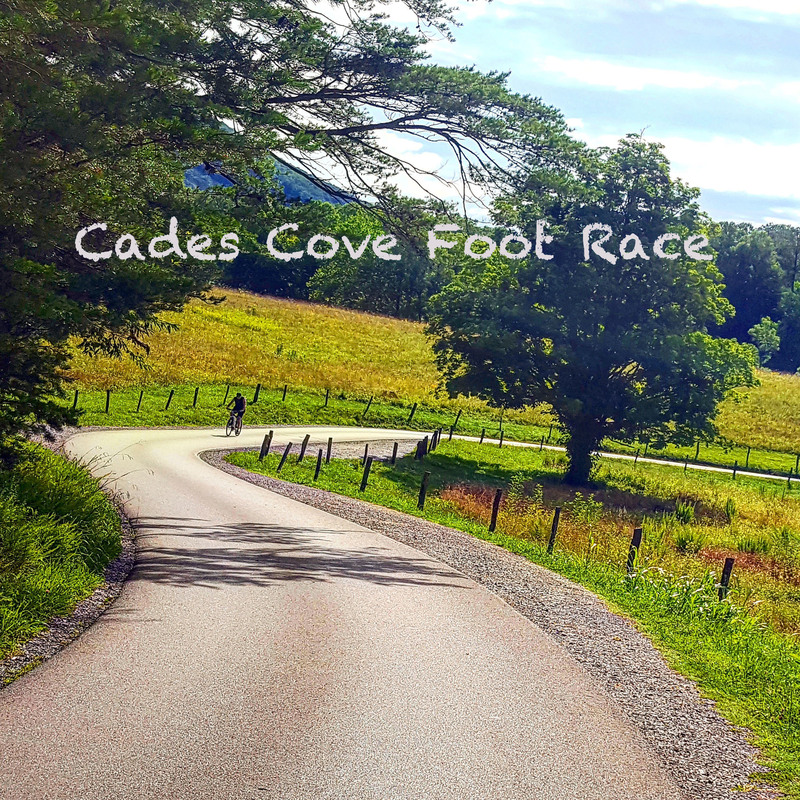 The Cades Cove Foot Race (AKA – the Cades Cove Loop Lope) hosted by Friends of the Smokies and the Knoxville Track Club is scheduled for Sunday, November 4, 2018. This exciting race was originally billed as a one time event at it’s inauguration in 2010. Since then it has grown in popularity. Participation is limited to 750 total runners and all participants will be awarded a t-shirt and finishers medallion. 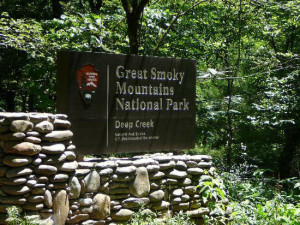 Friends of the Smokies will provide more than $90,000 for historic preservation and wildlife management programs in Cades Cove and a total of $1.4 million for other critical park projects. Great Smoky Mountains National Park Superintendent Cassius Cash remarked the race marks an opportunity to connect with the next generation of public lands stewards who are active in our national parks. Registration begin July 17, 2018 at RunSignup.com. Participants can choose between the 3.1 mile (5K) or the 10-mile loop routes. Each race is $75.00 to enter. If you have never experienced the serenity of Cades Cove without the noise and exhaust fumes of cars you are in for a treat! 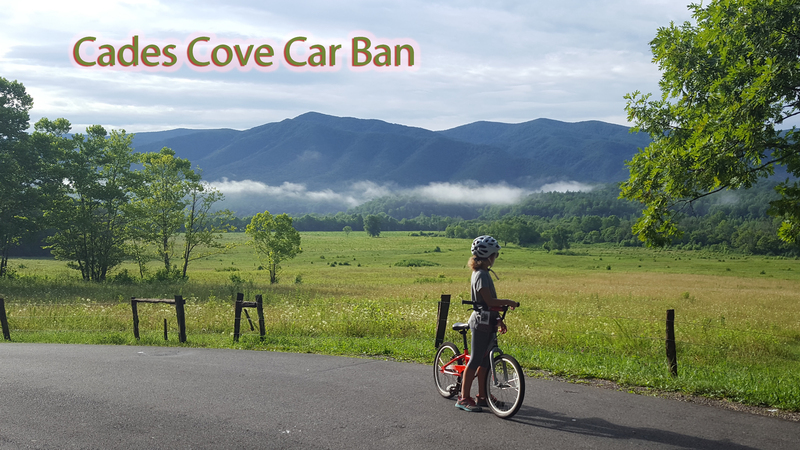 Cades Cove Car Ban begins Wednesday, May 9, 2018. Cades Cove Loop Road will be closed to motor vehicles from sunrise until 10:00 a.m. on both Wednesday and Saturday mornings to allow bicyclists, runners, and walkers time to enjoy the cove without having to worry about heavy traffic. This special experience on the 11-mile paved loop road will last until late September. During the season, bicycles can be rented at the Cades Cove Campground Store. For pricing info, give them a call at 865.448.9034. Of course, you can bring your own bikes and helmets to enjoy the scenic ride through this historic landscape. Be mindful that Tennessee law requires cyclists under the age of 16 to wear a helmet. 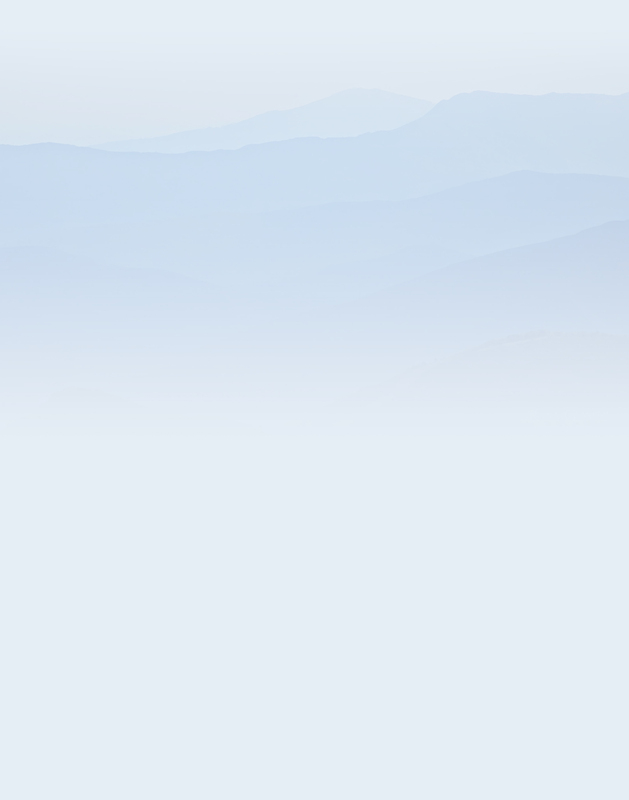 HeySmokies and the GSMNP recommend anyone of any age wear protective head gear…just sayin’! You will love the remote beauty of Deep Creek ranger district in Great Smoky Mountains National Park! Prong of the Little Pigeon River. Leashed pets are allowed on this trail. Begins at Oconaluftee Visitor Center and travels 1.5 miles one-way toward the outskirts of Cherokee along the Oconaluftee River. Leashed pets are allowed on this trail. From the Deep Creek Campground, cyclists can access both Deep Creek and Indian Creek Trails. Bicycles are allowed on both trails until the point where the old roadbed ends and the hiking trails begin. Pets are not allowed on this trail. Bicycles are allowed on most roads in the Great Smoky Mountains National Park, so drivers need to be alert of cyclists when driving through the park. Due to the narrow, steep, curvy conditions of park roads the HeySmokies cycling team recommends avoiding biking park roads in the interest of the safety of all park visitors. Bonus Biking Tip! – Tsali Recreation Area has over 40 miles of mountain bike trails with varying degrees of difficulty. Tsali is located on the Southern border of Great Smoky Mountains National Park on the southern shore of Fontana Lake near Bryson City, North Carolina. For more information on bicycling in the Great Smoky Mountains National Park and adjacent National Forests, please visit NPS.gov. 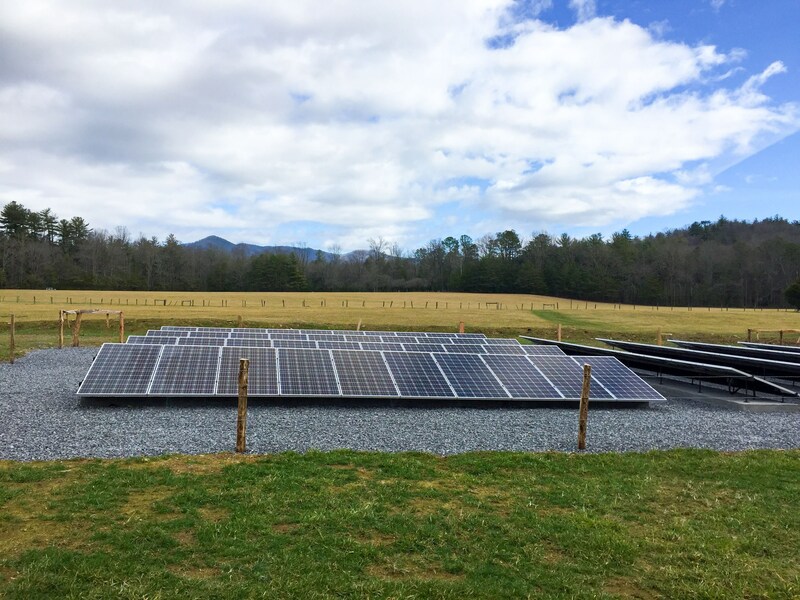 The new Cades Cove solar array powers the Cable Mill visitor center and more! Photo credit – NPS. Smoky Mountains National Park Cades Cove Clean Energy. The new solar array in the Cable Mill area of Cades Cove is up and running! The new green energy project will reduce greenhouse gases by 23 tons thus reducing fuel costs by $14,000 annually. Until now the park used a diesel-fuel generator for powering the site which was noisy and adversely affected the natural experience of park visitors and wildlife. The newly solar array boasts 80 photovoltaic panels that provide a quiet, passive energy source to serve the small visitor center, bookstore, and restroom facility at the unofficial halfway point around the Cades Cove driving loop. The panels can be found behind the restroom in an open area that receives maximum exposure to both morning and afternoon sun. A berm was raised around the array and planted with native plants to minimize disturbing visitors view of the historic area. 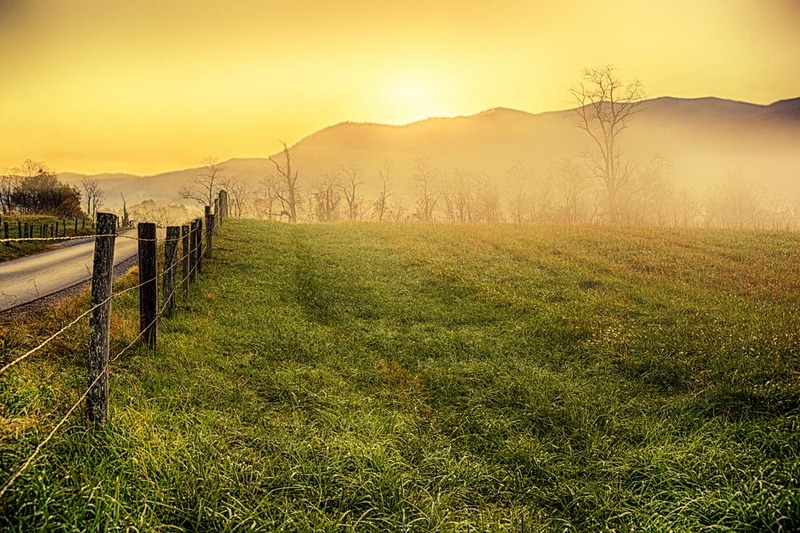 Cades Cove is one of the most popular parts of the Smokies and averages around 2 million visitors per year. Many visitors stop at the Cable Mill area to tour the old mill, blacksmith shop, Cable house and other historic structures located there. Due to the isolated location at the west end of Cades Cove, the Cable Mill area is completely off the TVA power grid and it is necessary to generate all power on site. The Southeast Region of the National Park Service provided the funding for this project. The work was completed by Solar Power Integrators, a veteran-owned company. The Smokies is also home to another solar array at the Sugarlands Visitors Center near Gatlinburg which has been helping to reduce greenhouse emissions for several years.